Adam was a guy who enjoyed helping people in need of medical attention. 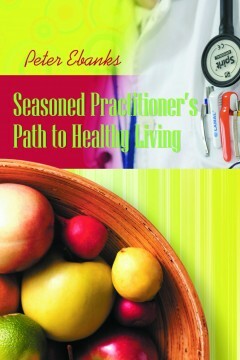 He was a well-seasoned and experienced practitioner. Adam got all of his medical experience from various medical courses and Medical Encyclopedia books of medicines, along with a long range of other medical books. Adam actually knew so much about medicines that he would lecture to international physicians and others about his success with natural hormones and nutritional therapies in his practice. This book will include some drugs on the market that don’t work for certain medical conditions and Natural Therapies that do. Adam’s medical testimonies will walk us through this seasoned practitioner’s path to healthy living, as we will also hear from some of Adam’s customers who called Adam “The Miracle Doctor”. We will see and witness the ways that Adam treat and make miraculous turn a rounds for cancer patients; Find out why we need and can’t live without Iodine; Salt your way to health; The miracle of Natural Hormones; Overcoming Arthritis; Overcoming Thyroid Disorders; The guide to a Gluten-Free Diet; The guide to healthy eating; and the guide to a Dairy-Free Diet. Here is Adam’s testimony on The Path to Healthy Living.